Hempstead, New York, USA. January 1, 2018. 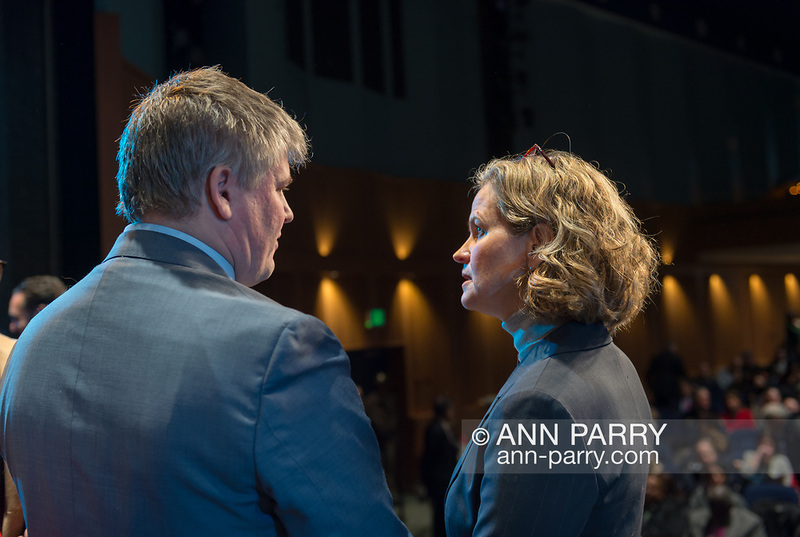 L-R, KEITH CORBETT, who is Laura Gillen's transition Counsel, and LAURA CURRAN, the Nassau County Executive-Elect, are talking before start of swearing-In of Laura Gillen as Hempstead Town Supervisor, and Sylvia Cabana as Hempstead Town Clerk, at Hofstra University. Curran was sworn in at Mineola later that day. Keith Corbett is Malverne Village Trustee.